Before playing or practicing guitar everyone can benefit from the basic hand, wrist and shoulder stretches in this tutorial. If done properly, these simple exercises can help build strength and loosen tight muscles. In this tutorial we will learn an exercise that will help you build strength and dexterity in your pinky finger. This is a very simple and obvious exercise that can help beginners get their pinky in shape and ready for fretboard action! Spider Legs Warm-Ups: Great Finger Exercises! This versatile warm-up exercise can easily be adapted for beginner through advanced players. It is also equally useful on acoustic and electric guitars, and relevant for players of any guitar style. In this series of lessons, I will show you seven of my favorite warm-up exercices, that I pick and choose from when warming up. The first lessons contain exercises that are beginner friendly, and we increase the level of difficulty with each one until we reach "The Finger Folder". In this tutorial we'll work together to speed up your chord changes along with a steady beat, in six keys commonly used in guitar music: D, A minor, G, C, E, and A. We'll use a simple strum so that you can focus your attention on your left hand and the important job it has to do, which is to change chords swiftly and accurately. Have fun with these, and see how long you can keep up! In this short tutorial, I will guide you through a couple useful exercises that will help develop your technique. One is a sequence exercise, and the other involves playing a scale in thirds. These exercises are designed to build dexterity for lead playing. In this tutorial, I will show you a series of methods that are very useful when it comes to building speed. With each method, I included an example of me playing, so you can see how it can be used. At the end of this tutorial, you will find practice tracks that gradually increase in tempo. A series of 7 lessons showing different finger exercises. In this tutorial series of lessons we will look at a method of building speed. We will do exercises using the minor and major scale on one string. 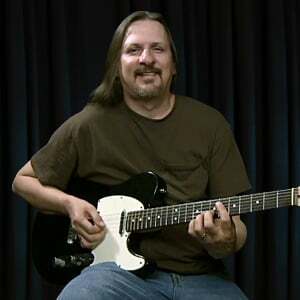 In these nine lessons, Ned Luberecki demonstrates how to play the classic country "lead-in" line to walk into another chord. 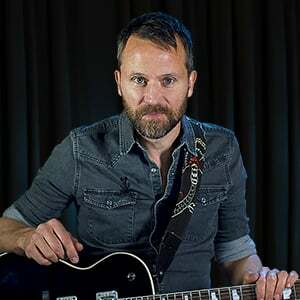 First you'll learn the basics of how to walk into chords, then Ned will show you how to do this in several different keys. 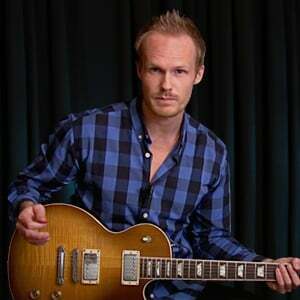 As we get to the end of the tutorial, Ned will show how to walk into minor chords, then with some common progessions. Learning the basic rhythmic subdivisions of 8th notes, triplets and 16th notes is the basis for solid pickin'. Practicing the CAGED system using these rhythms will supercharge your chops and make learning licks easier. This tutorial on basic hybrid picking exercises was inspired by a young man who asked me how to get started hybrid picking. I'll show you a variety of exercises that you can do to develop your hybrid picking. 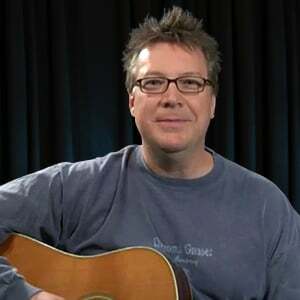 In the first five lessons I'll show you some basic exercises using the A, G, E, C, and D chords. 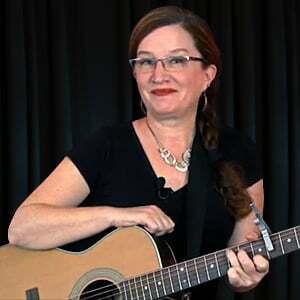 Next I'll show you a couple using barre chords, and then how to alternate the bass notes using the A, D, C, and B chords. This tutorial of hybrid picking exercises was inspired by pickers I've met while performing, and they wanted to know how to get started hybrid picking. These five easy exercises are all root/5 picking patterns, with alternating bass notes. First I'll show you exercises using E, and then A barre chord formations. Then I'll show you similar exercises using the other basic chords. In this set of lessons, I'll teach you a "bread and butter" blues lick that you can use in almost any blues solo. I'll start with an introduction to the lick, then how to do the tricking picking and bending. The we'll play the lick using the IV and V chords, then we'll review the whole 12 bar form before we do two play alongs in different tempos. Next we'll look at straight 8th rhythm, and finish up with two more play alongs. In this tutorial, we're going to go through six different exercises that will help improve your blues playing. First we'll do a basic pentatonic workout using alternate picking; then we'll do a hammer-on and pull-off workout. Next we'll work in grops of four, then do a triplet workout. Finally, we'll do a strumming workout and an exercise on arpeggios, using the myxolydian scale. The use of sequences are a great way to better your technique and heighten your skill as a blues soloist. In this tutorial, we are going to show you a variety of different ways to approach the scales already used in blues to aid you in having better chops and technique. Make sure to develop these exercises even further as you move through this course; as all are great ways to warm up for your next lesson or gig. Let's get started. 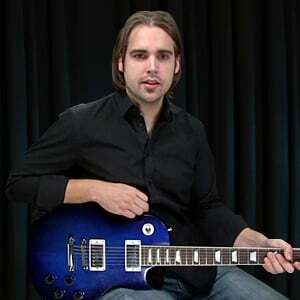 Christopher will show you all five major pentatonic boxes, how they form an interconnecting pattern across the entire guitar fretboard and how to systematically practice them. You will use each pentatonic box to play 2 types of scale exercises, at two different tempos along with backing tracks. 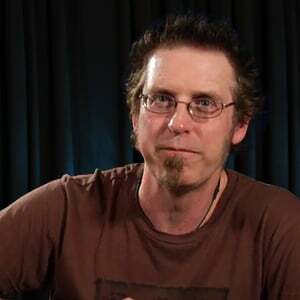 Christopher will show you all five minor pentatonic boxes, how they form an interconnecting pattern across the entire guitar fretboard and how to systematically practice them. You will use each pentatonic box to play 2 types of scale exercises, at two different tempos along with backing tracks. 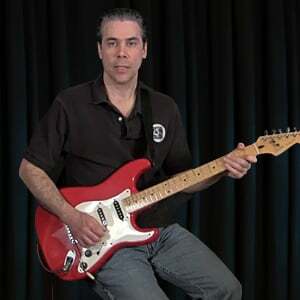 A solid rhythm guitar is key to any song, and this tutorial will give you 9 very good exercises to develop your metal rhythm playing. We will play four 8th note rhythms, and then move up in difficulty as we switch to 16th note rhythms at the same tempo. Your picking hand will have to work hard here! In this tutorial, just like the one before, I will start with the simplest examples, gradually increasing the difficulty level. At the end, let's mix it up and create some real life music. In these 15 lessons, we will further build on what we learned in the two previous tutorials. Be aware, this tutorial features riffs that require a lot more from your fretting hand! This tutorial will teach you how to play six simple single string exercises that will help you learn the names of the notes in the first position. It will also give you practice learning to sight read notes and rhythmic notation. Finally, it will help you get used to playing with your fingertips and fingernails on nylon strings.